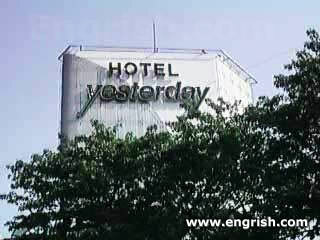 well if it was a hotel yesterday what is it today??? Located immediately berfore the International Date Line! Stay here and wake up this morning! looks like if I check in here, my troubles will be here to stay, too !